Dr. Daniel Werner received his M.A. and Psy.D. in clinical psychology from the Illinois School of Professional Clinical Psychology, and earned his undergraduate degree in psychology from Kutztown University. In addition to private practice, he is an adjunct professor of psychology at Moravian College and Lehigh University. He has served as the Alcohol and Drug Counselor at Lehigh University, and provided group and individual therapy in the Lenape Valley Foundation's partial hospitalization program. Previously, he worked at MacNeal Hospital and Madden Mental Health Center in Illinois. Dr. Werner has certification in sexual dysfunction treatment from Loyola University Medical Center. His training and expertise in hypnotherapy have been recognized by the National Board for Certified Clinical Hypnotherapists. He is a member of the American Psychological Association and the Lehigh Valley Psychological and Counselors Association. Dr. Jilda Hodges Ulicny is a licensed psychologist and received her Ph.D. in School Psychology with a Pediatric School Psychology subspecialization. She received her M.A. in Child Development with a concentration in clinical involvement from Tufts University, and her undergraduate psychology degree from Ursinus College. In addition to private practice, where Dr. Hodges provides psychological and psychoeducational testing, evaluation, and therapy for children and adolescents, Dr. Hodges is also a Pennsylvania Certified School Psychologist counseling and educating children experiencing crises, learning difficulties, and developmental delays in the school setting. She has worked as an evaluator at the Center for Reading and Language Research at Tufts University and has worked with children adjusting to family dynamics, such as divorce, at New England Medical Center. Dr. Hodges received clinical training at the Children's Hospital of Philadelphia, where she worked in the Department of Oncology providing psychoeducational evaluations and assisting in the return of children and adolescents to school. She also assisted young males diagnosed with ADHD in learning coping skills and strategies to help resolve the difficulties associated with their diagnosis. 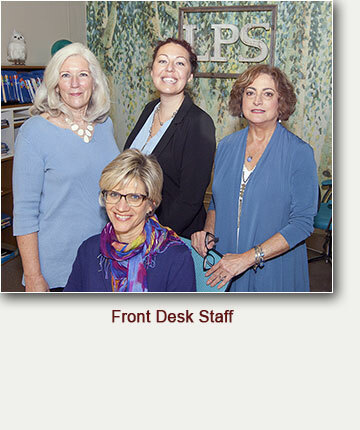 Dr. Hodges uses a wide variety of subjective, projective and computerized psychological testing instruments to help diagnose and guide treatment. Ms. Loetzbeier is a licensed psychologist who earned her Bachelor's Degree from Penn State University, Master’s Degree from Lehigh University, and Educational Specialist Degree from the Philadelphia College of Osteopathic Medicine. She has been employed as a rehabilitation psychologist working with individuals who had physical disabilities across the age spectrum. In that capacity, she issued psychometric testing, provided individual counseling, group counseling, and provided biofeedback/relaxation therapy. 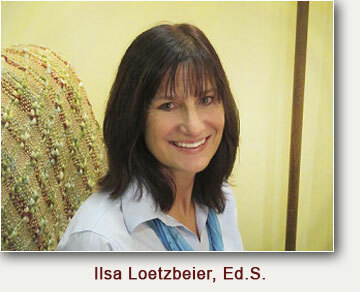 Ms. Loetzbeier is a nationally certified school psychologist and a certified elementary school counselor. Additionally, she is a Senior Fellow with the Biofeedback Certification International Alliance. Currently, in addition to private practice where she counsels children, adolescents, and adults, she provides psychological services to children and adolescents in a school setting. These services include test administration and interpretation, individual and group counseling, crisis intervention and suicide prevention, behavioral and academic interventions, and consultation. 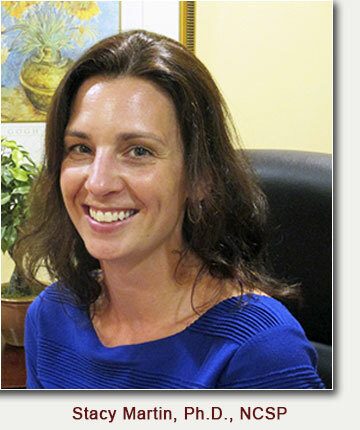 Dr. Stacy Martin is a licensed Psychologist and a nationally certified School Psychologist. She received her Ph.D. in School Psychology, with an endorsement in Pediatric School Psychology, from Lehigh University and her B.A. in Psychology from SUNY-Buffalo. Dr. Martin received clinical training at Centennial School of Lehigh University, a special education day school for children with emotional disturbances and autism, the Center for Management of ADHD at the Children’s Hospital of Philadelphia, and the former ADHD Program at Sacred Heart Hospital. Dr. Martin has worked as a School Psychologist where she assisted children with academic, behavioral and social-emotional challenges. She also served as a faculty member at the University of Medicine and Dentistry of New Jersey, where she consulted with school districts to implement positive behavior support programs for students with disabilities and behavioral difficulties. Additionally, Dr. Martin has worked at Lehigh University coordinating research projects that evaluated reading interventions. Dr. Martin has also served as an adjunct instructor at Lehigh University, teaching classes on child and adolescent psychopathology, health psychology, school and family interventions and research methods. Dr. Martin has published research in peer-reviewed journals in the areas of early literacy, ADHD, positive behavior support, and family-school relationships, as well as delivered numerous presentations on these topics at national and regional conferences. She is on the editorial board for the journal School Psychology Review, where she reviews papers submitted for publication. Dr. Martin works with children, adolescents and their families. 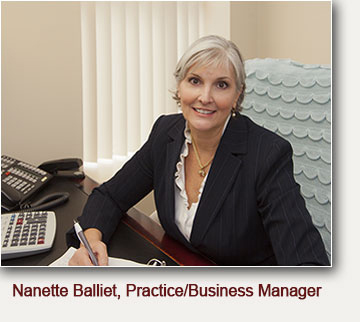 She uses a cognitive-behavioral framework and is committed to evidence-based practices. Dr. Lorraine Dorfman is a licensed psychologist in Pennsylvania and New Jersey and received her Ph.D. in clinical psychology at the University of Wisconsin. She received her Masters of Science degree in Psychology at the University of Wisconsin and her undergraduate Bachelor of Arts degree at Hunter College. In her thirty years of experience, Dr. Dorfman has been an agency director for Medco Behavioral Care Systems in New Jersey and served varied populations in Philadelphia State Hospital, DePaul Rehabilitation Hospital in Milwaukee, Columbia Hospital Family Center in Milwaukee, Milwaukee Counseling Service, Bristol-Bensalem Mental Health Center, CORA Services in Philadelphia, Lehigh University Counseling Service, Young Women's Christian Association in Manhattan, and Stanley M. Isaacs Neighborhood Center in Manhattan. She established the first eating disorder program at Lehigh University and the first program for teen fathers and an Harlem outreach program at 92nd Street Y in upper Manhattan. 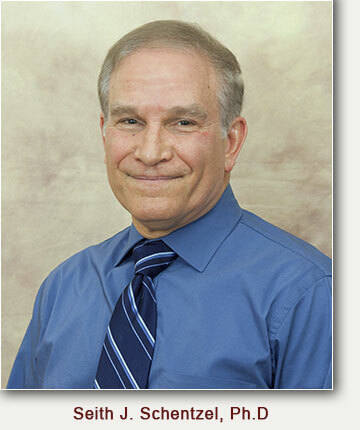 Dr. Dorfman has taught at the University of Wisconsin and Cedar Crest College. She has been a presenter for the World Congress on Eating Disorders, Nutrition, and Mental Health; Bucks County Commissioners' Advisory Council for Women; American Psychiatric Association; American Psychological Association; Obsessive Compulsive Association, and many other institutions. Dr. Dorfman continues to present in her areas of expertise. Dr. Dorfman has authored numerous publications, including Five Essentials to Be Your Best You, Northloop Books, and Head vs. Heart: 3 Steps to Your Best Choice, Northloop Books available at Amazon, Barnes and Noble, and 25 other booksellers. Dr. Seith Schentzel obtained his doctorate from Walden University in Minneapolis Minnesota specializing in Clinical Psychology and Clinical Neuropsychology. He received his Master of Science degree from Northwestern State University and a Bachelor of Arts degree from the Penn State University. He is a member of the America Psychological Association, Pennsylvania Psychological Association and Lehigh Valley Psychological and Counseling Association. Dr. Schentzel has over 30 years of clinical experience. His counseling approach promotes self-awareness, emotional well-being, and self-compassion based on an integration of cognitive-behavioral, Gestalt, analytical, and family systems therapies. He is certified in the TEAM-CBT approach and Rational Emotive Behavior Therapy (REBT). Dr. Schentzel has also served as a consultant and expert witness in forensic neuropsychological cases.